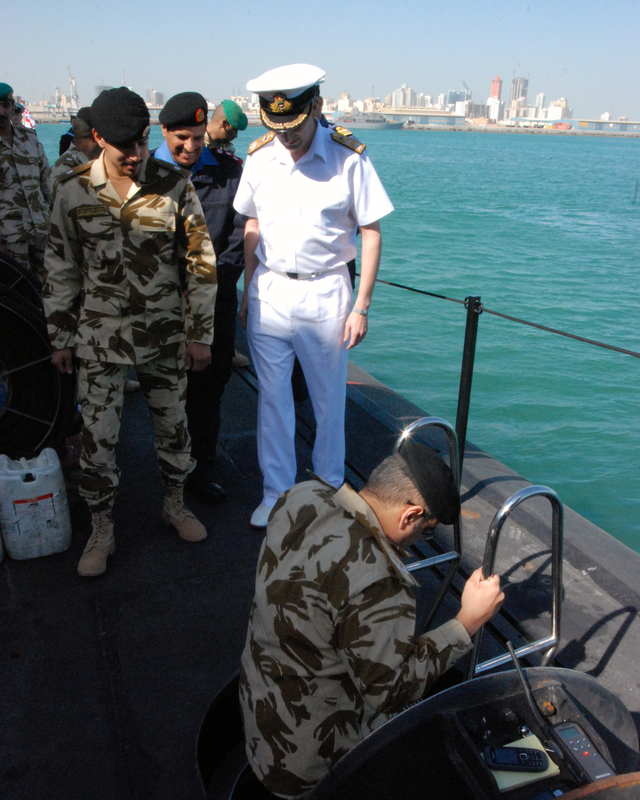 His Royal Highness Prince Salman bin Hamad bin Isa Al Khalifa, Crown Prince and Deputy Supreme Commander of Bahrain visited the Royal Navy submarine HMS Triumph and the support vessel, RFA Diligence on Dec. 29 during a recent port visit to the Kingdom of Bahrain’s Mina Salman Port. 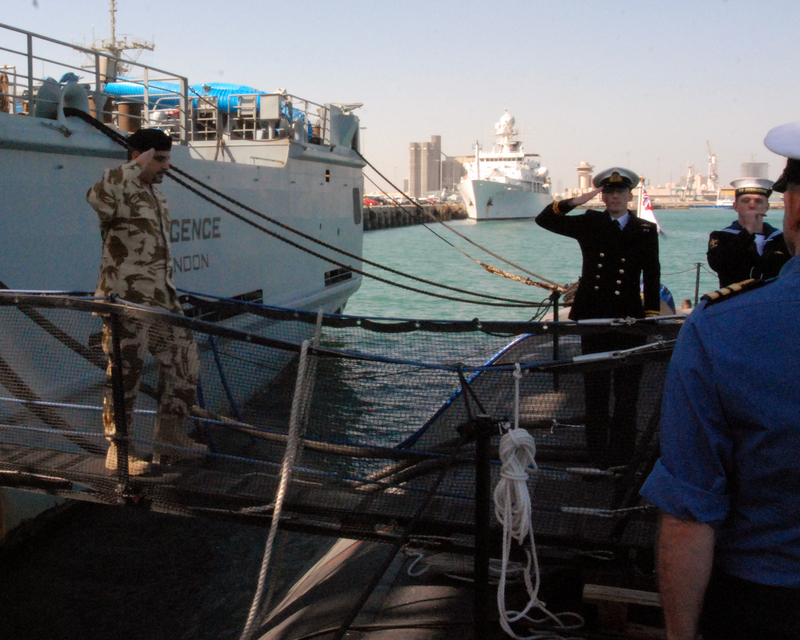 British Defence Attache, Commander Chris Moorey Royal Navy met His Royal Highness at the port where he was escorted to the Royal Fleet Auxiliary vessel, RFA Diligence. 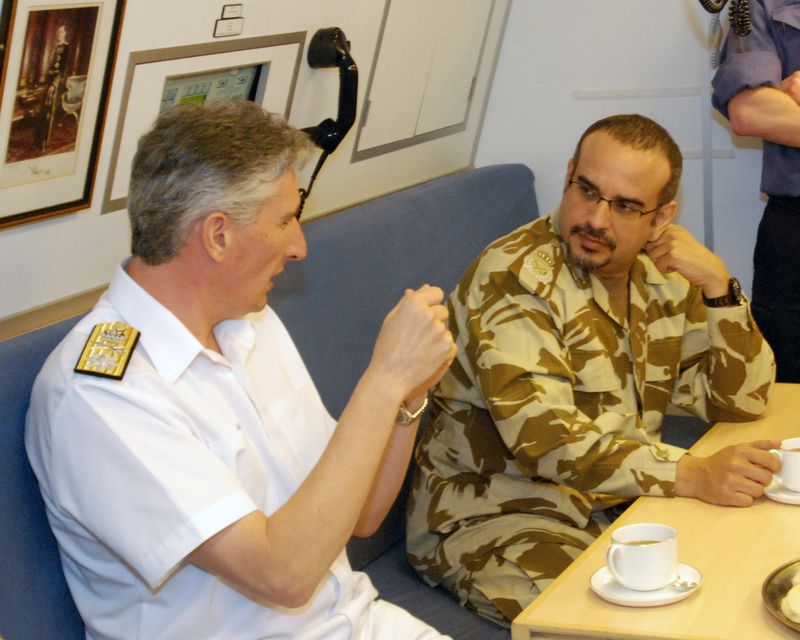 HM Ambassador His Excellency Iain Lindsay OBE and Commodore Simon Ancona, Commander of the United Kingdom Maritime Component Command (UKMCC) received the Crown Prince on board Diligence. 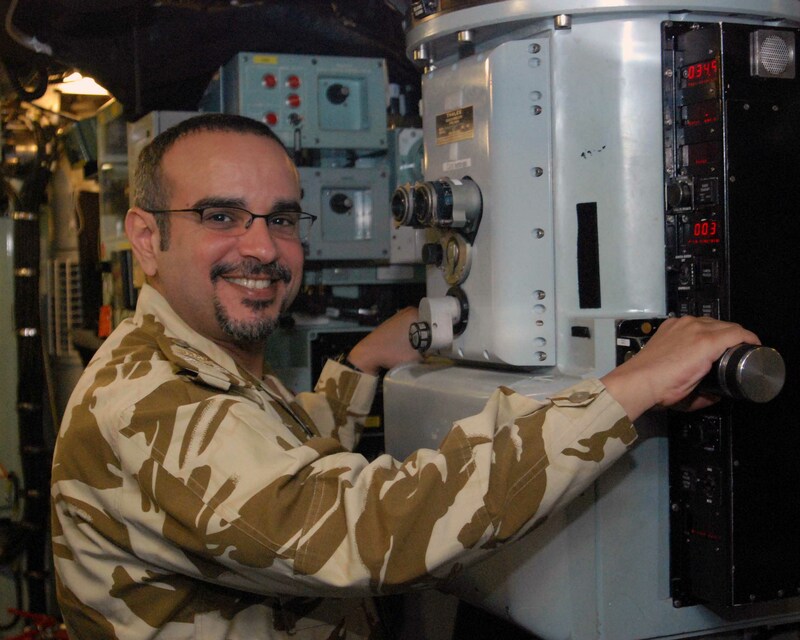 His Royal Highness was introduced to Commander Rob Dunn, Commanding Officer of the nuclear submarine HMS Triumph, before being welcomed aboard the Trafalgar class submarine where he was given a presentation about the submarine’s capabilities and a short tour including the operations control room and a look through the periscope. 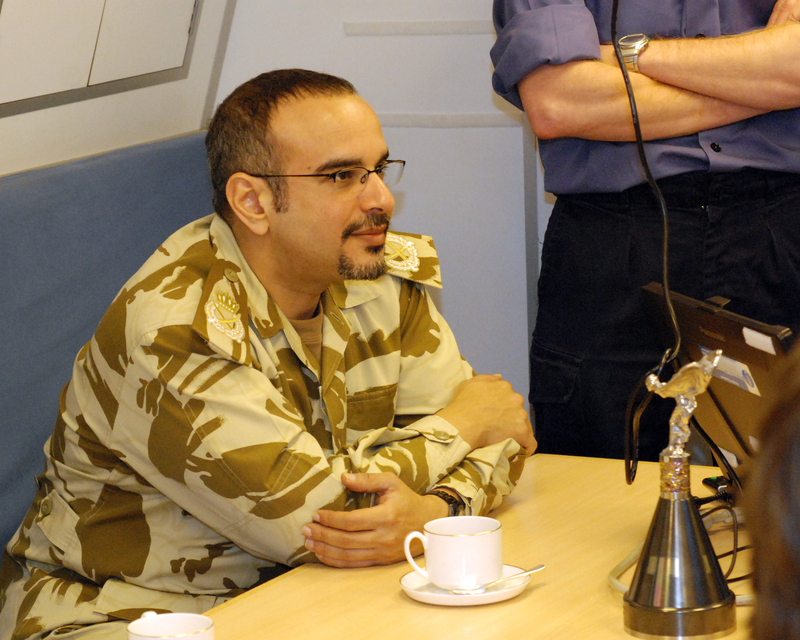 HRH The Crown Prince spoke of the “strong and secure relations that both countries enjoy, to promote the continued peace and stability in the region.” His son, HRH Sheikh Mohammed bin Salman Al Khalifa, who also accompanied him on the visit, will shortly be returning to the United Kingdom on an exchange programme with the British Army.